Leaves broad and flat, heart-shaped at the base. Stems become stiff and woody as the plant matures. 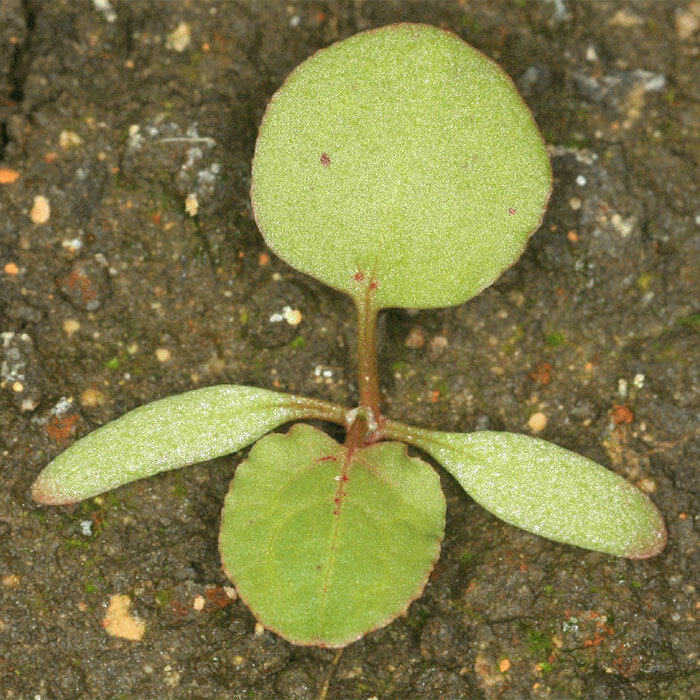 Found in similar places to broadleaved dock. Common throughout New Zealand, prevalent under cattle grazing but grazed by sheep. Most common in damp waste places and pastures, especially in higher fertility areas such as stockyards, cowsheds, water troughs and gardens. Birds and wind disperse the seeds. Roots have been used as a coffee substitute. Docks compete well with other pasture species, even when mowed frequently. Only sheep graze young plants; horses and cows will not. The leaves are, however, high in tannins, which may offer livestock some protection from worms. 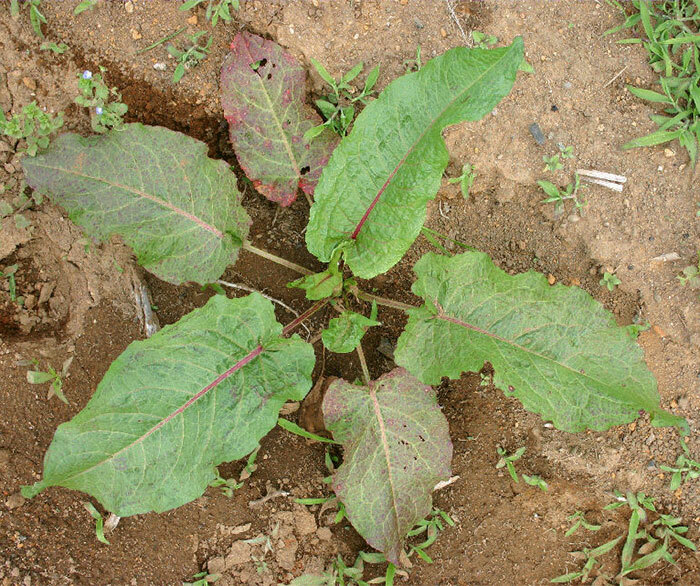 A combination of manual removal and herbicides may be required to eradicate this weed. 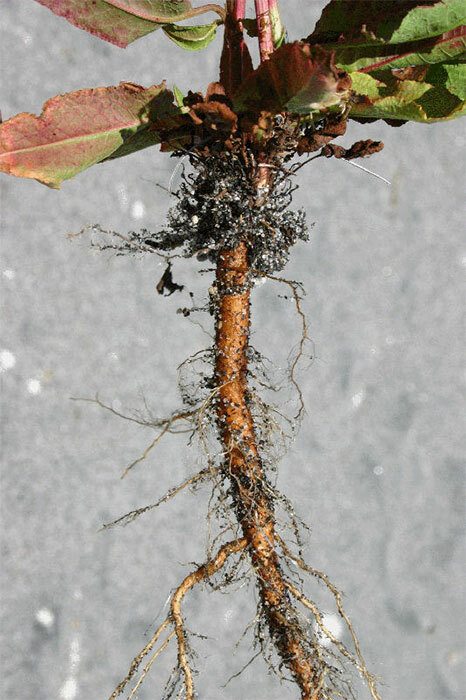 Dock seedlings are controlled by all phenoxy acetics and phenoxy butyrics and their mixtures. There are currently no biological control agents for dock in New Zealand. Pino J, Haggar RJ, Sans FX, Masalles RM 1995. 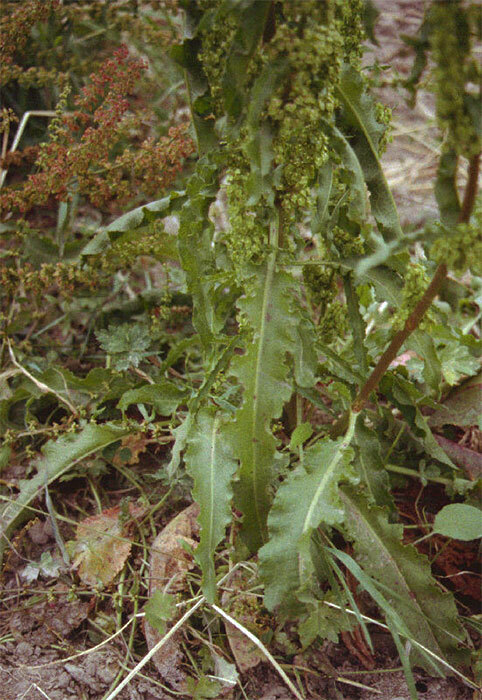 Clonal growth and fragment regeneration of Rumex obtusifolius L. European Weed Research Society 35: 141-148. 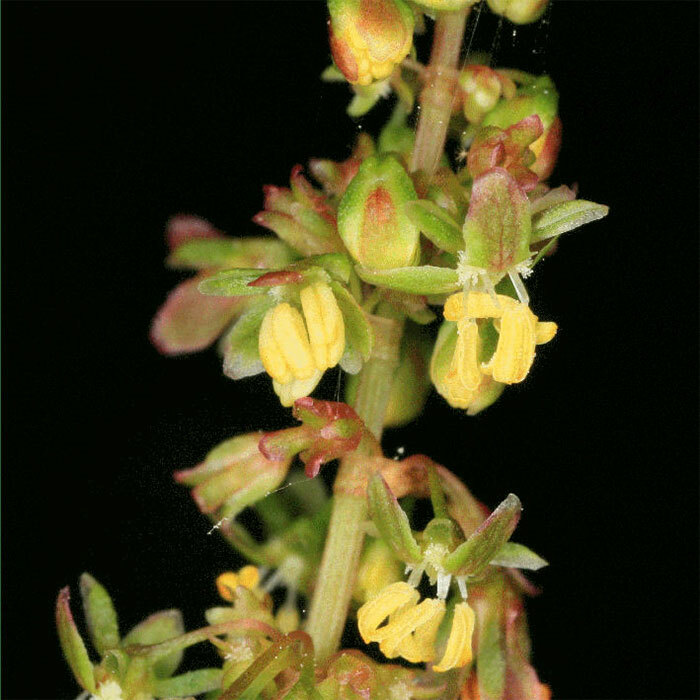 Popay I, Champion P, James TK 2010: An illustrated guide to common weeds of New Zealand. New Zealand Plant Protection Society, Christchurch, New Zealand. 416 p.
Stilmant D, Bodson B, Vrancken C, Losseau C 2010. 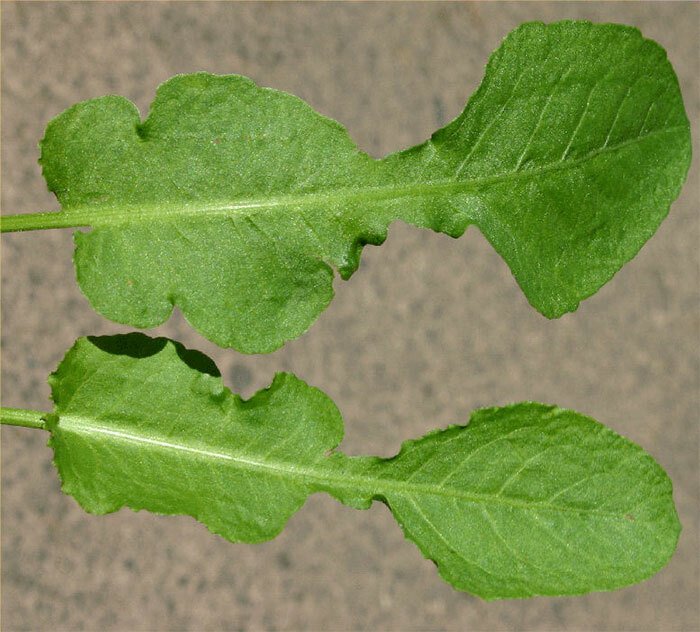 Impact of cutting frequency on the vigour of Rumex obtusifolius. Grass and Forage Science 65: 147-153. Zaller JG 2004. 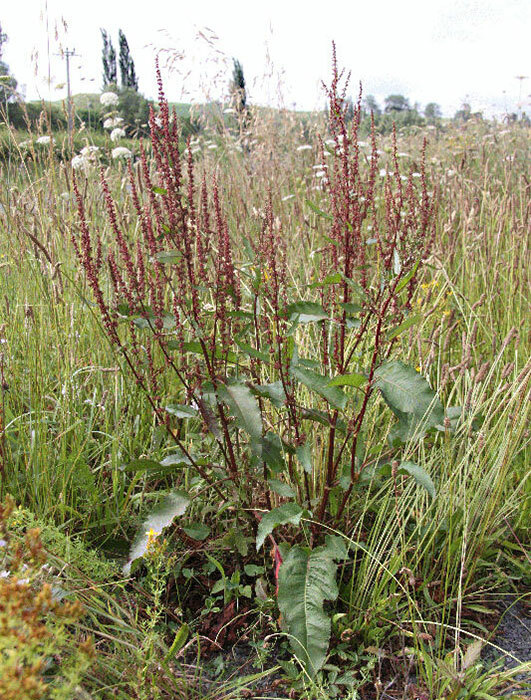 Ecology and non-chemical control of Rumex crispus and R. obtusifolius (Polygonaceae): a review. European Weed Research Society 44: 414-432.